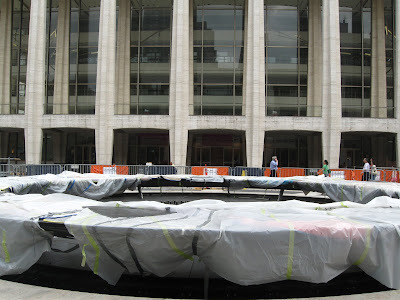 Work at Lincoln Center continues on, but at least our Met Opera ticket work is mostly done. Yesterday, Sally and I met at 1:00 pm and had our tickets in just about an hour - Der Rosenkavalier 10/19, Elektra 12/15, Carmen 1/5 La Fille du Regiment 2/10, and Armida 4/22. It was the first day of the individual ticket sale to Guild Members at the Supporting Level. I wisely upgraded so I wouldn't have to go through the same stress of last year. 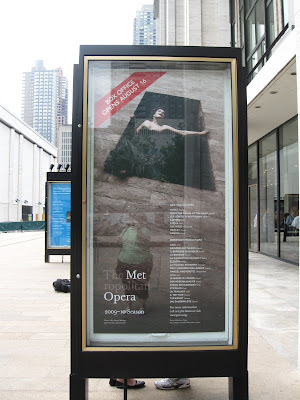 That being said, there are a number of operas we plan to rush (Thank you Dr. Agnes Varis and Karl Leichtman!). 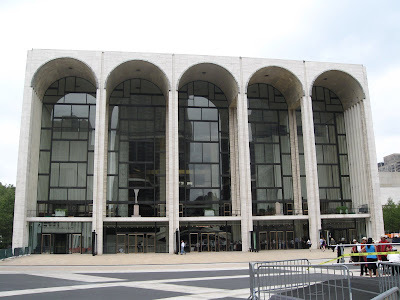 We also intend to make some purchases at the New York Philharmonic and Carnegie Hall to round out what will surely be a fabulous 09/10 season. This looks as if it shall be an interesting and completely enjoyable season for all of us who experience the Met in so many diverse ways. Nevertheless, I am wondering what your opinion of the new production of "Tosca" is, which is to inquire whether you think it will adequately replace the Franco Zeffirelli masterpiece? Looking at your portfolio for the current season, I cannot say I would have changed much in my personal preferences. I might have taken in some of the more popular productions in addition to the ones you selected, but I think you have a gratifying season ahead of you. 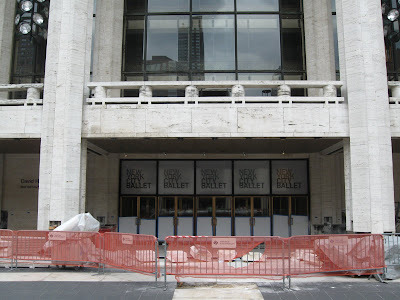 As for the Carnegie Hall tickets you plan to obtain, what events do you wish to see most? 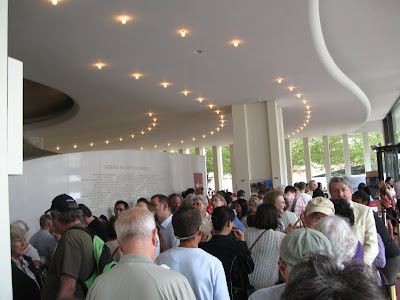 On their roster this season are Sondra Radvanovsky, Dmitri Hvorostovsky, Joshua Bell, Magdalena Kozena, Dawn Upshaw, either of which I should not miss for anything if I were you, Frederica von Stade, Thomas Quasthoff, and Phillipe Jaroussky to name a few of the luminaries in their season. I hope these are on your list! Thank you for reading. Having seen the Zeffirelli, I believe it's time for a new one. While lavish, it was dark and not as spectacular as his Boheme. The set seemed to be falling apart anyway. Tosca is fine otherwise. I'm sure Karita will be magnificent in the role. I'm missing Flicka at Carnegie in favor of Armida, but I've seen her a number of times. I will try to fit in Dmitri and Sondra, as I love them both. I'm no fan of Upshaw AT ALL - I have no need to suffer through atonal weirdness. Quasthoff is fine, but I don't need an entire peformance of him. I've seen Joshua perform, but I prefer vocal to just instrumental so wouldn't go unless I have nothing else to do and the price is right (free). My biggest must sees at Carnegie are Deborah Polaski (!!!) and Christine Brewer. (Waltraud Meier, Anthony Dean Griffey, Mikhail Petrenko, Alexander Timchenko) and Susan Graham & Saint-Saens’s Organ Symphony. Let me know when you're thinking about getting your Susan Graham tix. I'd be interested in that. What do you guys plan on rushing? Single seats go on sale at the Phil on 8/23. We're trying for 6/5 for Suzi - our fave seats are 3rd tier center and they sell out the quickest.